This item is fully customizable. Please see below for customization instructions. In facilities across the country, healthcare providers struggle with the challenges caused by the communications gap that separates a facility’s clinical network or EHR and its medical device data. The nursing staff often traverse this divide with a pen and paper—wasting time, compromising patient safety, and hindering productivity. 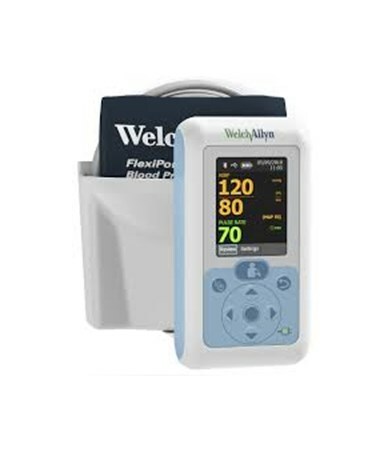 Welch Allyn’s Connex® ProBP™ 3400 Digital Blood Pressure Devices are the perfect blood pressure solution for just about any care setting. Together with certified EHR vendors, Welch Allyn is bridging the gap. Their broad range of connected devices communicate directly with the industry's leading EHR systems, eliminating delays and transcription errors. 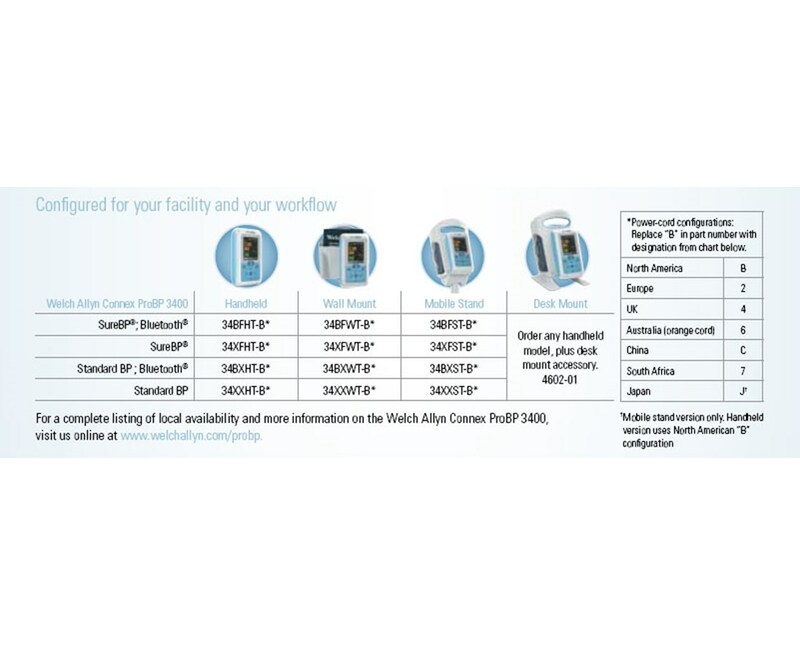 A connectivity solution from Welch Allyn will help drive your practice both today and in the future by ensuring that accurate, complete and timely patient diagnostic data is always available - anytime, anywhere. The Connex® ProBP™ 3400 comes connectivity-ready, allowing you to integrate it with the electronic health records system you have now or in the future. With a hardwired USB connection, the Connex® ProBP™ 3400 communicates with select EHR/EMR systems in the physician’s office, reducing documentation errors and improving efficiency. 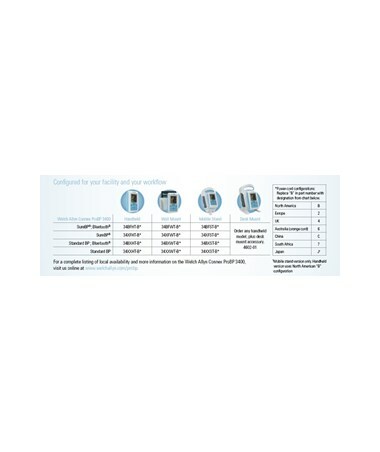 Unlike many digital blood pressure devices, the Connex ProBP 3400 works with a very broad range of cuff sizes, minimizing the potential for inaccurate readings on patients large and small, plus all the advantages of compatibility with unique Welch Allyn FlexiPort® cuffs that enable quick, snap-fit connections, disposable cuffs to reduce cross-contamination risk, and facility-standardization benefits. 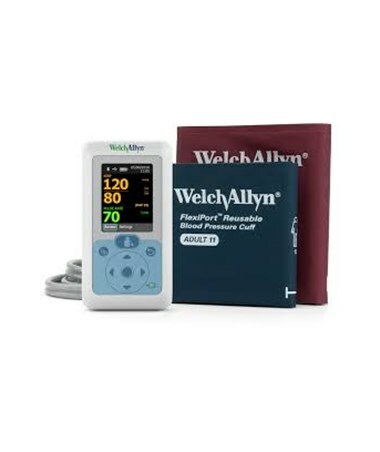 The Connex 3400 is compatible with Welch Allyn FlexiPort Blood Pressure Cuffs in sizes small child, child, small adult, adult, adult long, adult large, adult large long and thigh. 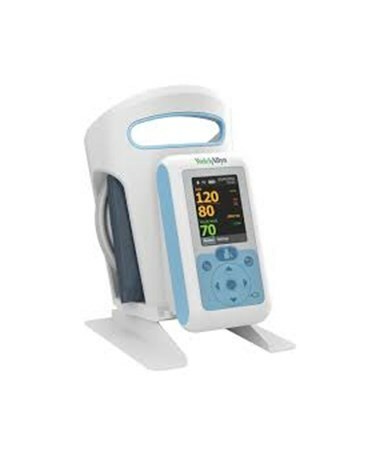 With AAMI/BHS-AA-compliant accuracy, SureBP™ blood pressure technology that captures readings in just 15 seconds, and the ability to work with a broad range of cuff sizes, the ProBP™ 3400 is a reliable alternative to manual sphygmomanometers. The ProBP™ 3400 is also an affordable approach to digitally capture blood pressure measurements and export readings to electronic health record systems. Small enough to carry in your hand, the ProBP™ 3400 is a convenient alternative to manual sphygmomanometers or larger vital signs devices for capturing reliable blood pressure readings during rounds or in triage settings. 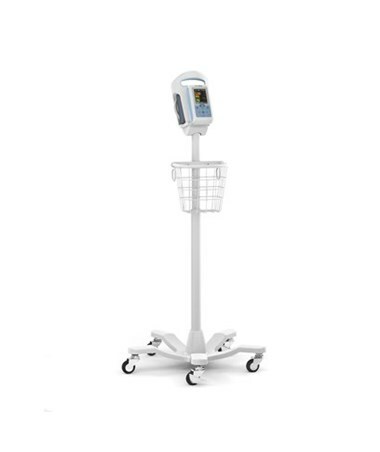 A mobile stand featuring a compact footprint and accessory basket enhances portability with an added measure of security and the ability to store extra cuff sizes on board. 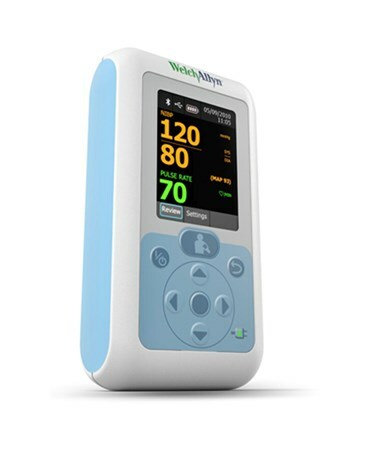 This innovative monitor is fully customizable with blood pressure options (SureBP™ or standard) and mounting options (lightweight and portable handheld, secure wall mount, or convenient mobile stand) to match every clinician’s and facility’s workflow and needs. Additionally, it is upgradeable with Bluetooth technology (not included) to protect initial investments and suit changing needs. In situations when you need accurate blood pressure readings quickly and easily, look to ProBP 3400 first. 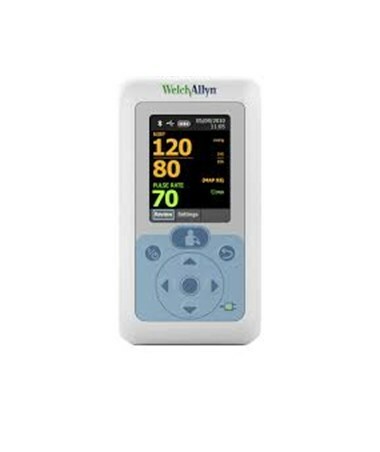 Whether in long-term care, sports medicine, dental health, occupational health, or other applications that call for reliable, repeatable blood pressure, the portable and accurate ProBP 3400 is the right choice for you. 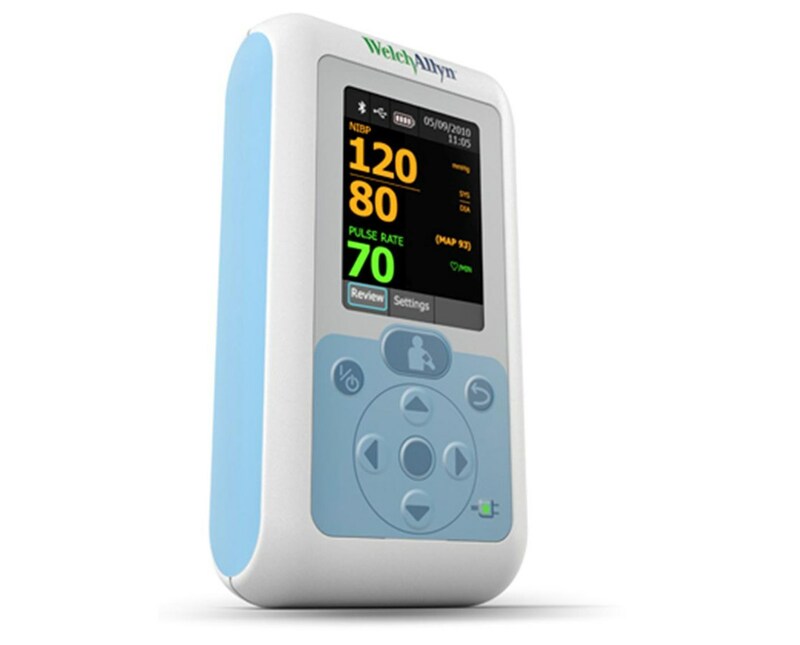 For example: 34XFWT-B is the 3400 Series device without Bluetooth enabling, with SureBP™ technology, wall mounted, and a North American power cord. Please contact our sales staff if you require additional assistance in ordering. Refer to the chart below for configuration options, then select your model using the drop-down menus in the upper right corner of this page. Base 5.9" x 3.1" x 2.2"